Kristina Simonyan, Balazs Kelemen, Katherine Yakimetz, Xian Ken Chen, students from the MS in Finance program, represented CEU at the Rotman European Trading Competition, hosted by LUISS Guido Carli University of Rome, August 23-25. The competition aims to give students the opportunity to apply their classroom knowledge to actual markets and allows teams from schools across Europe to participate in a simulated market. 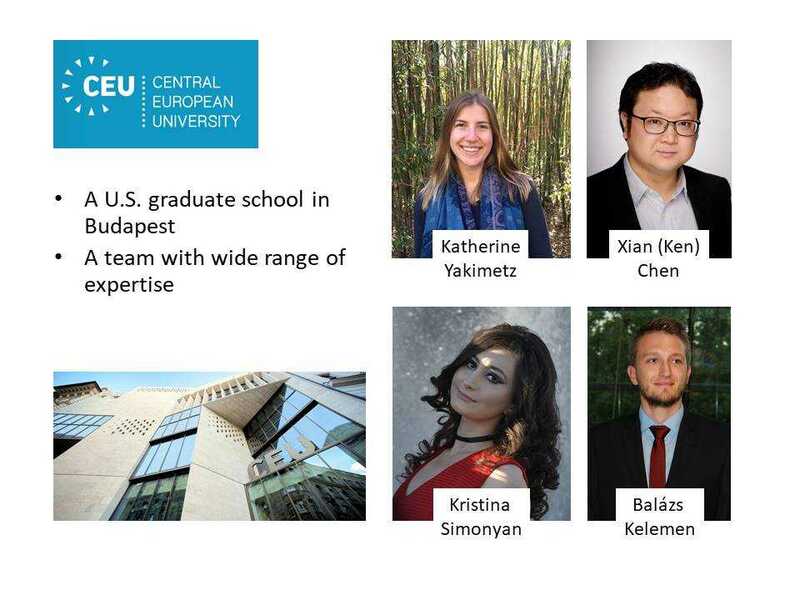 Kristina Simonyan, Balazs Kelemen, Katherine Yakimetz, Xian Ken Chen, students from the MS in Finance program, represented CEU at the Rotman European Trading Competition August 23-25.